You will probably book the Holyhead Dublin ferry for your vacation in Ireland with your partner and family. Here are some tips that may help to make your time on the ferry to Dublin more enjoyable and relaxing. 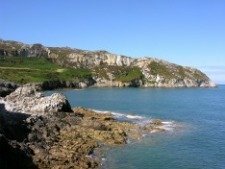 On this route travellers have a choice of the world’s largest car ferry, Ulysses, or a very fast ferry, Jonathan Swift, for the journey between Holyhead port, the main town on Anglesey, and the Irish capital. 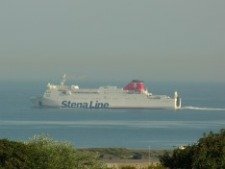 The Holyhead Dublin route sees eight sailings a day, with the Cruise Ferry taking three and a quarter hours, while the Dublin Swift flies across the water in one hour and three quarters. So decide whether you want the slow passage or to get over as soon as possible. The overnight Cruise ferry offers en-suite cabins which can make your journey more comfortable, so book early to secure your relaxing cabin. 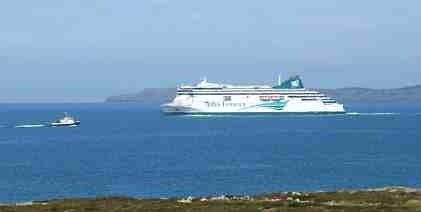 Meanwhile the timetable sees the fast ferry leaving Holyhead at noon and again after five in the afternoon. It is best to be as flexible as you can when booking your ferry to Ireland as an alternative departure date can give you better ticket prices. According to Irish Ferries, midweek rates are lower than weekend travel, while a Cruise Ferry ticket will cost less than one for the fast ferry. And a very valuable deal is the Frequent Traveller Scheme where you will get a discount of up to 20 per cent if you travel to Ireland at least three times over 12 months, so this is a big saving. 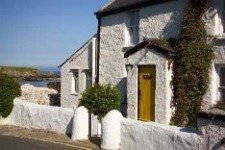 You will also find some very attractive vacation accommodations available when you book your ferry tickets and it is well worth considering to secure either your Dublin hotel or holiday cottage further out in Ireland. 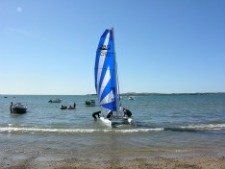 Offers include free child places with the third and sometimes fourth night free in a quality hotel you select and up to seven nights free for the cottage vacations in places like Kerry, Limerick, Wicklow and County Clare. So now you could look forward to booking your ferry crossing and secure your traditional Irish cottage in Dingle, all done online. The ferry company go to great lengths to make your travel plans as easy as possible with a special arrangement for caravans and bikes, and cars can carry as much luggage as you can fit into the vehicle. Cat and dog owners will be pleased to know that your pets will have no problems on the Holyhead Dublin Ferry and when entering Dublin, and all passengers benefit from a check in process that is only thirty minutes at Holyhead Port. Although higher fuel prices affect the economy, the ferry company has decided not to add extra fuel surcharges and all taxes are included. Once you board the Holyhead Dublin ferry you may prefer extra comfort and peace and you can do by securing a Club Class lounge pass. Benefits of the Club Class include priority boarding and a reserved Lounge and exclusive Lounge Bar, along with complimentary refreshments and newspapers, as well as discounts in the onboard shop. 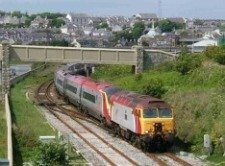 Sail rail is another deal to follow up if you are not going by car, which offers you flexibility and value when booking trains to Holyhead and from Dublin to the rest of Ireland. There are some very good offers for car drivers as well as motorcycle riders, bicycle and caravan users as well as foot passengers on the Irish Ferries route, and if you know you in advance you will be travelling to Ireland it is well worth booking early online. The ferry has a wide range of onboard entertainment to suite all, if you cannot sleep during the passage. Whether you choose to go by fast service or Cruise ferry, you can reckon on the Holyhead Dublin ferry offering a comfortable setting for this short sea crossing, and a good start for your holiday.